1. Congratulations on Xavier, a deeply moving film, and NRFF’s Film of the Week. Can you tell our festival audience about what Xavier is about? 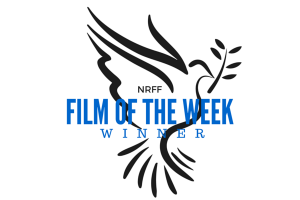 First of all, I’m really happy that Xavier was chosen as NRFF’s “Film of the Week”, it’s a great honour for me and for all the people involved in this project. Xavier was a man who lost his life during a terrorist attack in Paris in 2017 while doing his job as a policeman. He was a young man, full of dreams, with human goodness and a strong will to live. His life, the lives of people who loved and lost him and especially that of Etienne, his partner, were shattered by this tragic event. 2. What inspired you to make this film? After I read about the terrorist attack on the Champs-Élysées in Paris and that the policeman who was killed was a gay rights activist, I noticed that the Italian media almost forgot the news story and gave it lesser attention than it deserved; as if the fact of being gay made his life less important, and so the tragedy of his death. This reminded me about something similar that had happened in 2016, with the Orlando nightclub shooting. Then at his state funeral, his partner, Etienne, read a moving, inspiring letter publicly. My project has taken shape from those images, from the intimate pain that those words were able to transmit. I felt like I was sharing that same pain with millions of other people. 3. How did you cast the two leads in the film? What preparations did the actors go through in order to deliver such a convincing performance? Marco Oppo, my First Assistant Director, had suggested to me French actor Thomas Grascoeur, after he had first met him at the “New Renaissance Film Festival” in Amsterdam. It was there, my film “Bullied to Death” won the “Humanity Award”. Film Festivals like the NRFF are an essential crossroads between creativity, opportunity and connections. Thomas was also showcasing a film at the festival that he had written and directed, called ‘SmartPot’, which had been nominated for an award. We cast Italian actor Marco Casoli, who is based in Bologna, in the other lead role. The preparation was very quick, and the film was made in less than a week, with two days of rehearsals and preparations, and three days of shooting. I have a very personal approach to the direction of actors, I give some “dramatic” points, but leave a lot of space for them to trust their own instincts and freedom to express themselves, in the way their characters might do. Thomas and Marco were professional and perfect for their roles. I could not have asked for a better performance. 4. You chose to use a voice over to tell the story. Why did you choose to do it this way, rather than to use dialogue? We opted for an “intimate” reading of Cardiles’ letter, amplifying the personal side of the story and giving less space to the public side that was reported in the media. The story, through a voice over, assumes the tragic nature of what took place, without giving room for any “media sensationalism”, that is typical of such events. 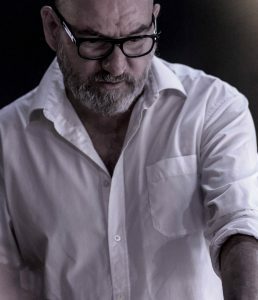 Thomas, who performed the voice over, also played two very short, intense scenes with live-recorded audio, demonstrating his great talent once again. 5. Where was the film shot and how long was the shoot? What was the most challenging scene to film? The film was shot in Cagliari and Siliqua in Sardinia. The interiors were shot in Cagliari in a location dedicated to music and live performances called “May Mask” and at the “Intrepidi Monelli” theatre. Exterior shots included some views of the city of Cagliari and a former military monument in the Siliqua. The most difficult scene was portraying Xavier’s death in a “dreamy” and “poetic” sense. I’m usually not interested in working to recreate the events in a descriptive and realistic form. Instead, I prefer to suggest powerful feelings and emotions that lie at the heart of the “event” I’m telling the story about, rather than rebuilding the setting of where it took place. Marco Casoli was great in this scene – very generous and patient with all of us. 6. How would you describe your style as a director? My training as a photographer helps me to gain an accurate picture, especially in the stages of scene composition. I personally take care of every aspect of the framing and positioning of the elements (lighting, positioning and set design) that define a “good photograph”. However, my hidden side, the side of personal research is above all, my most “wild” aspect of my approach to cinema and to creating beautiful images. I do not follow any specific rules; I create them if I need t, sharing them with my closest collaborators, especially Marco Oppo, who has been my shadow for many years. My approach is more performative and instinctive than academic, and my documentary filmmaker side, I believe, emerges in almost all of my works, Xavier included. 7. What is it that inspires you to make films? I like to tell stories and photograph them when it’s possible. I’ve always been an activist, and I have reunited my rebel side with “movie-journalism”. I think there are so many stories that are worth telling, letting the public at large know about them. I work like an archivist and on the idea that nothing should be forgotten, especially when the protagonists of these stories have sacrificed their life for our freedom. Freedom which is always being challenged and must be honoured and protected everyday. I’m not inspired by a person in particular. I’m inspired by what I see and I read. Reality, everyday life, is the greatest source of my inspiration. 9. What challenges have you faced as an artist in Italy? That’s a difficult question … It would need pages and pages! … It’s undeniable that Italy is a beautiful country with a rich history and culture. However, it is not a country willing to experiment, and so art evolves with difficulty and everything that is “underground” art and artists do not have the space to freely express themselves. The themes I deal with in my films, in my work, are not mainstream with today’s documentary tradition, so my living space is often beyond Italy’s borders. That said, I consider myself lucky. The press has been kind to me and I have several friends (artists and non artists) who are supportive of my work. After all the awards won by Il Rosa Nudo and Bullied to Death, I have created a new film scene, both from the productive point of view and in terms of content. I’d like it if other artists could do the same – experiment with new forms of creative expression, thus opening up new artistic horizons. As regards funding, the Italian public film financing system is heavily anchored to the political “helping hand” intercession. Sadly this rarely rewards people who have something interesting to say, and often gives credit to those who are most ready to compromise and conform to the status quo. Nothing good can come out of the wretched union of art and politics. I work with a small group of professionals and for me, this is enough to be able to make the films we want to make! 10. Is there a central message you would like people to understand from watching Xavier? No, there is not a message in particular, but I would like people to think about the suffering that a tragic event can cause to those who are left behind. In this case the pain and suffering of Xavier’s loved ones: his lover Etienne, his parents and friends. Xavier deals with the private side of a public event. It intimately and gently tries to imagine what remains after the sudden and pointless death of someone you love. 11. What are your plans for this film? 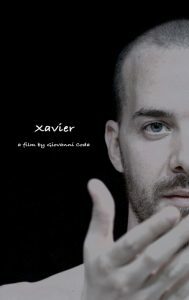 Xavier will be screened almost exclusively in the circuit of film festivals and after that, I would like it to be screened on TV any streaming media platform which may be interested in airing it. For me it’s already a great satisfaction to give this interview to the NRFF, to know that the film has been appreciated and that the meaning of my work can be understood everywhere, without the barriers of language and nationality. This, I believe, must be the language of art: a true sense of freedom and creative expression that anyone can understand and relate to. Enter your script or film into NRFF Amsterdam 2018 today! NRFF London 2018 NOW open for submissions. CLICK HERE!